When people learn about this cause, often their reaction is “what can I do to help?” I’ve put together a list of easy ways you can help to protect Oak Flat. 1. Get the Facts. 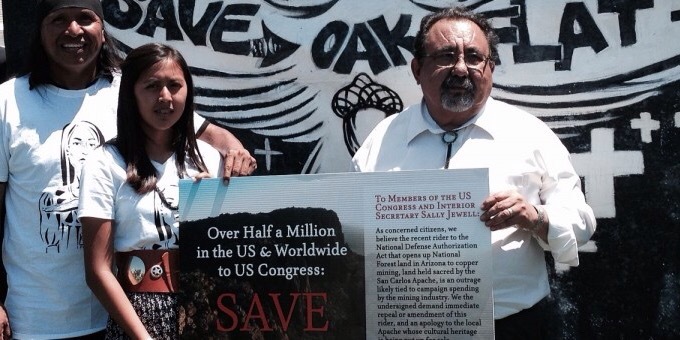 Before you speak out in support of Oak Flat it’s important that you know the whole story! This is crucial because to be an effective activist you need to be accurate and thorough, and hopefully be able to answer any questions other folks may have. Check out the FAQ page on our website to start, and read some articles to understand the whole situation. This article is a great place to start, as well as this NYT Op-Ed, this Indian Country Today piece, and many others. The Apache Stronghold website is another valuable resource. 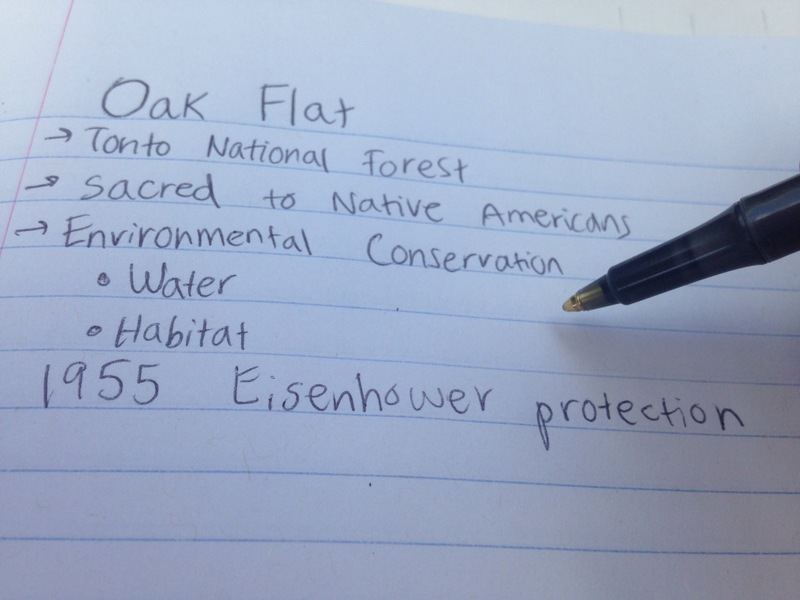 A simple Google search for “Oak Flat” will bring you plenty of info to peruse. 2. 2. Make the Most of Social Media. In this day and age most of us have email, Facebook, Twitter, or some combination of the three. 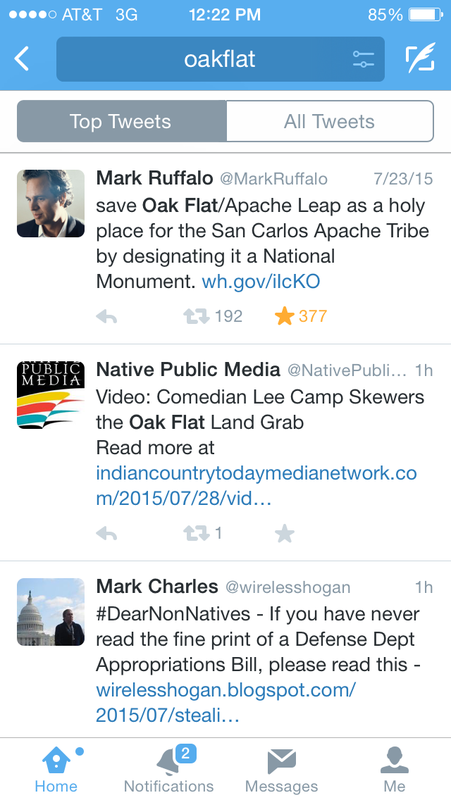 When you see a petition or compelling article about Oak Flat, share it, Tweet it, or email it to friends and family. Raising awareness is crucial to reversing this land giveaway. 4. Use Your Voice. America is a democracy, which means that it is the job of your representtive and senators to listen to your thoughts. So call them up, tell them why you want Oak Flat protected, and ask them to Co-Sponsor HR 2811, the Save Oak Flat Act. You can use this resource if you’re not sure about who your rep/ senators are and how to contact them. 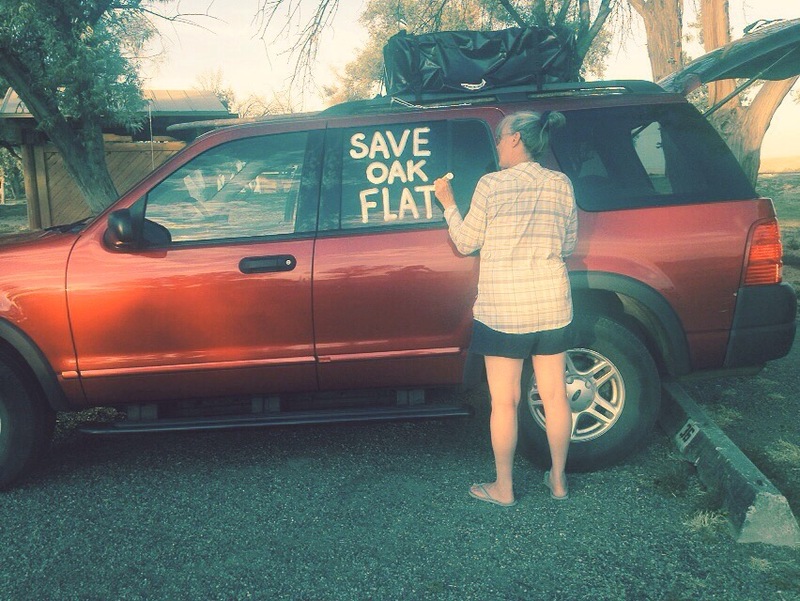 What other ideas do you have of ways to help Save Oak Flat? Share them in the comments. Oh, and if you want to help by spending a cent or two, we can always use your support with our Walk to Save Oak Flat Fund. Thank you!